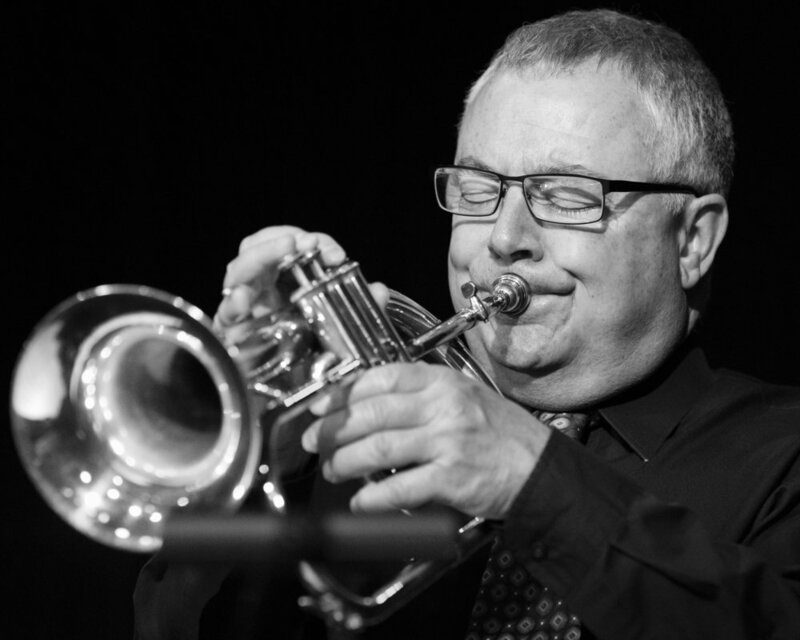 December 20, 2018 - Denny Monce on flugelhorn with The Frank Smith Quintet at The Nash Phoenix. Joseph Berg Jazz Music Photography. Denny Monce and The Frank Smith quintet covered a wide sample of the west coast cool era at The Nash Phoenix. The featured the music of Dave Pell, whose octet employed a who’s-who of west coast jazz greats, including Shorty Rogers, Marty Paich, Bill Holman and John Williams.